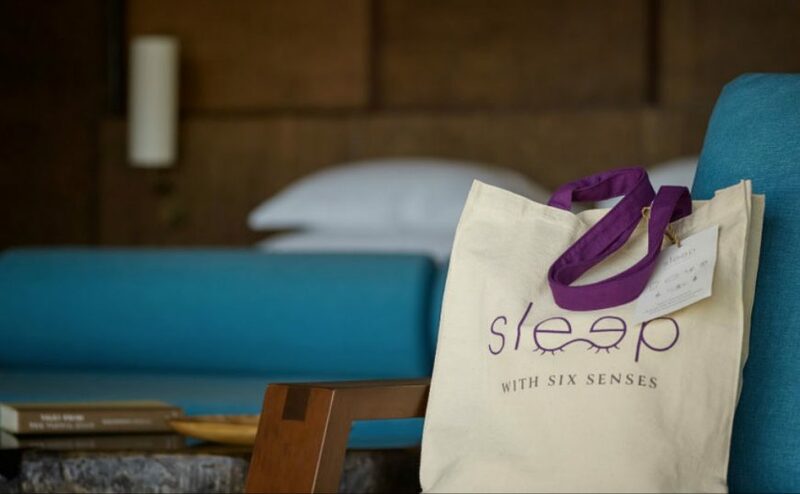 While science is still working to understand the complicated and dynamic physiological processes surrounding sleep, Six Senses has made it its mission to tackle the three distinct phases of memory and their link to sleep with the group’s ‘Sleep with Six Senses’ programme. Addressing the mind’s abilities of acquisition (taking in new information), consolidation (storing information), and recall (retrieving memory from ‘storage’), Six Senses has concluded that sleeping well, and sleeping right, will aid each of these aspects of memory health and can make a real difference in our ability to take in new information – essentially, our ability to learn. Sleep deprivation is the number one obstacle before memory acquisition. While both memory acquisition and memory recall are influenced by sleep, it is the middle phase of the memory process – consolidation – that actually occurs during sleep itself. 2. Be mindful about consumption – avoiding stimulants such as caffeine and alcohol within several hours of bedtime can help improve sleep quantity and quality. Not only can these substances make it more difficult to sleep, they can disrupt normal sleep cycles, and may alter time spent in the stages of sleep that are most important to memory consolidation. Eating heavily in the evenings, and eating late at night, can also disturb sleep quality and lead to restless, interrupted sleep. 3. Ease your stress – managing daily stress is also critical for healthy, high-quality sleep. Worry and anxiety are among the most common sources of poor and insufficient rest, leaving us with tired bodies and tired minds at the beginning of the next day. Whenever you’re tempted to stay up late for the sake of being productive, bear in mind that you and your memory will ultimately be better served by getting a good night’s sleep. Well rested, you’re more likely to feel better, perform better, and to remember more. Renowned clinical psychologist Dr. Michael J. Breus is a member of the Six Senses Integrated Wellness Board, which created the pioneering Sleep With Six Senses programme that adds a new dimension to a stay at a Six Senses hotel or resort. Sleep with Six Senses is available at: Six Senses Zighy Bay, Oman; Six Senses Douro Valley, Portugal; Six Senses Zil Pasyon, Seychelles; Six Senses Yao Noi, Thailand and Six Senses Ninh Van Bay, Vietnam. New Six Senses properties opening soon with Sleep with Six Senses are: Six Senses Fiji (March 2018); Six Senses Krabey Island, Cambodia (August 2018); Six Senses Bhutan (five lodges – August & November 2018).